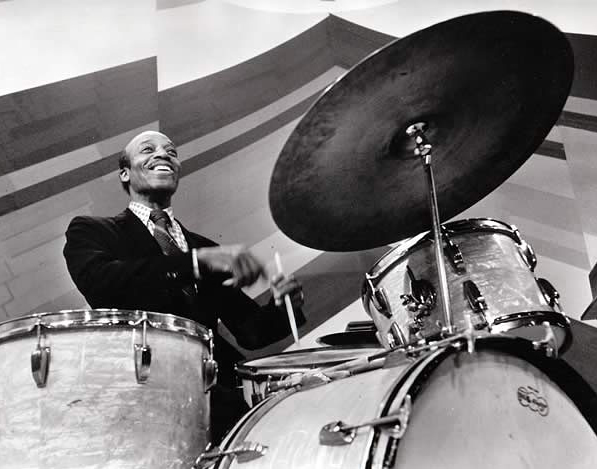 We all presumably agree that “Papa” Jo Jones was one of the most influential jazz drummers who ever lived. That’s likely only one reason why DVDs and CDs with Jo on them continue to be among our most popular titles. Jo Jones in Europe (1975): The Master with Milt Buckner and Illinois Jacquet. Part One of this DVD features very rare film of J.C. Heard. Jo Jones and the JATP All-Stars: WIth the JATP gang on the Nat Cole TV show of 1957. Jo Jones and the Drum Stars: A shorty but a goody. 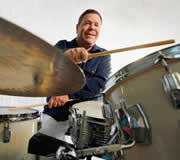 Timex All-Star Jazz Show Volume 4: Jo appears thoughout this extravaganza hosted by Jackie Gleason.